Keith Urbans father has died after a long battle with cancer. 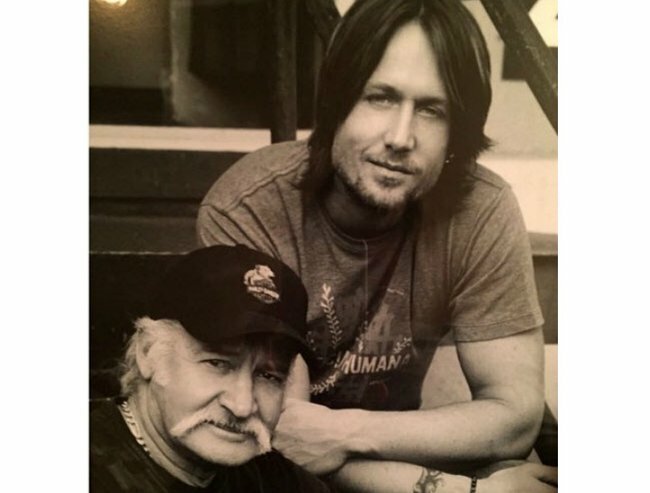 Robert Urban, Keith Urban's father, has passed away. Keith Urban’s father has sadly passed away after a long battle with cancer. Robert “Bob” Urban died on Saturday night at a hospice, just days after Keith Urban announced his father only had weeks to live. The 48-year-old singer shared the sad news in a statement to People. Keith and his dad. Image via @keithurban Instagram. "I&apos;ve been deeply touched by the outpouring of love and support that Nicole and I, and our family, have received since my Dad’s passing on Saturday night," the statement read. Keith Urban spoke about his father&apos;s declining health last week, following his first exhibit at the Country Music Hall of Fame and Museum rotunda. At the time, he told The Tennessean that his father had always been his biggest fan, even making many of the outfits he wore on stage. “I’ve just been dealing with that the last couple of days. This has all come at a very strange time where it’s typical of a career that has extreme highs and extreme lows all often at the exact same time. So (the exhibit) is bittersweet a little bit because (my dad) is the catalyst for all of this. My dad is the catalyst for me living in America,” he told the publication. The country singer is married to Australian actress Nicole Kidman, 48, and the couple has two children. Just last year, Kidman&apos;s father, Australian clinical psychologist Dr. Anthony Kidman, passed away suddenyl after a fall in Singapore.